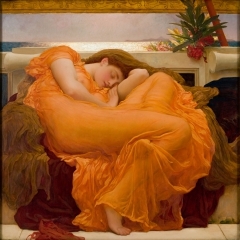 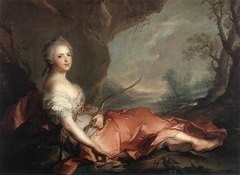 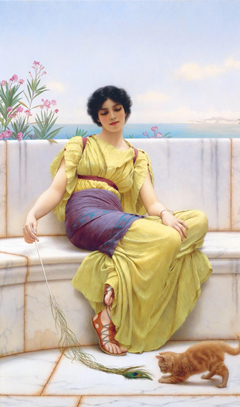 Lost in her thoughts, a languid young woman lounges on a smooth, veined marble bench terminating in a herm figure, probably representing the type of the poet Homer with its heavy beard, thick hair, and narrow ribbon around the head. 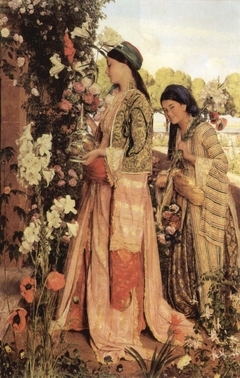 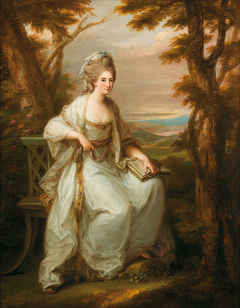 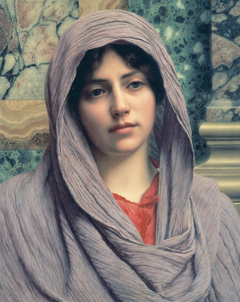 The cloth wrapped around her hips, over her silky chiton, or tunic, is not an authentic element of ancient costume, but it bears a repeated palmette border based on a common ancient design. 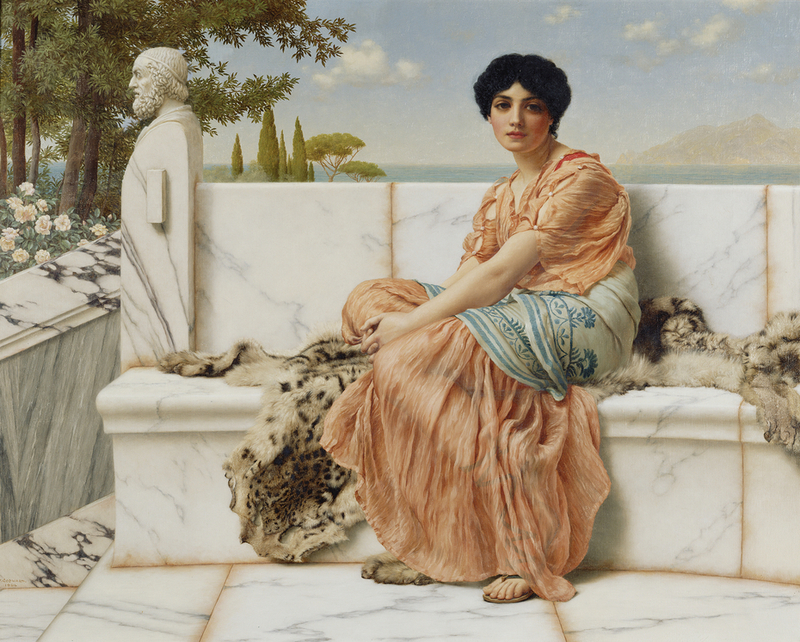 The fluffy, spotted animal fur is almost tactile but has no specific connection to antiquity. 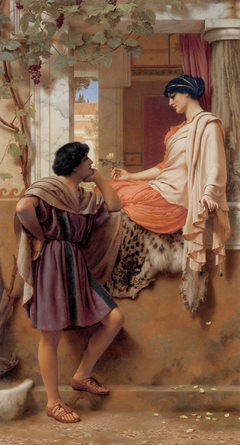 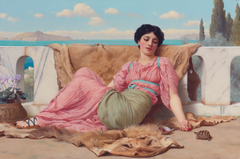 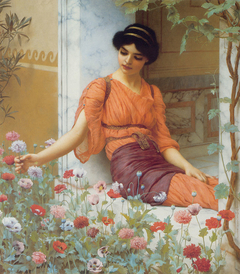 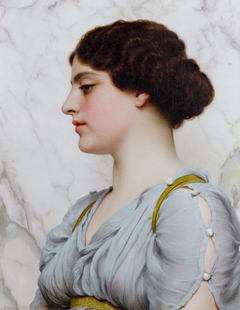 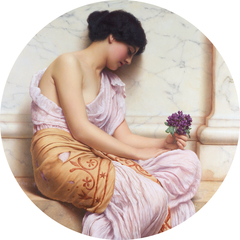 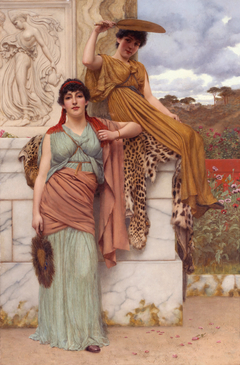 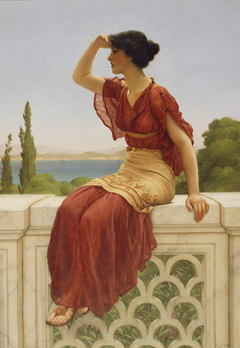 John William Godward probably included it for the delight of juxtaposing such varied textures and colors. 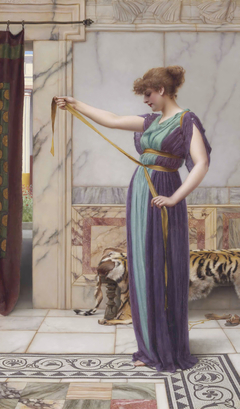 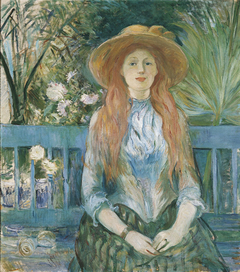 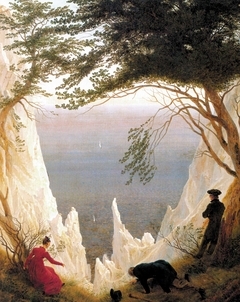 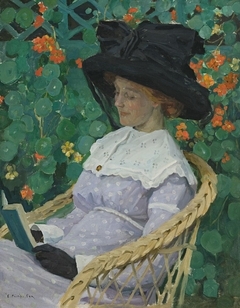 He painted the silk, fur, and marble with great accuracy, approaching photographic realism, and arranged them to enliven the subtly colored composition.